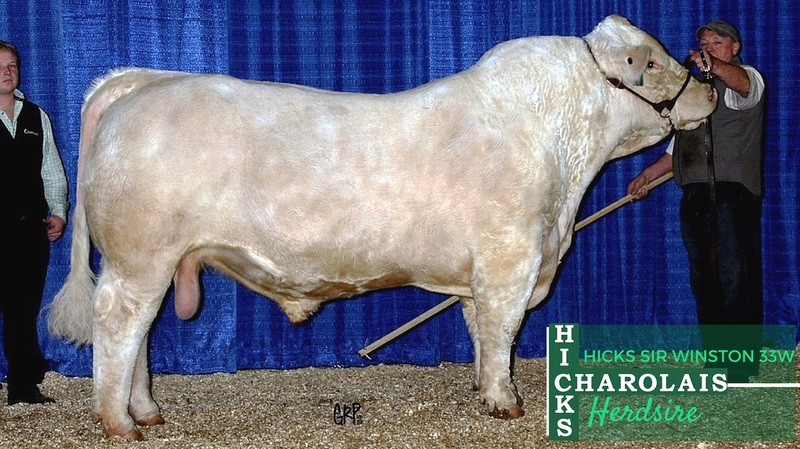 We use Revolver as a herdsire because he adds muscle mass to his progeny - leaving calves with visible loin lines, obvious jump muscles and powerful forearms. 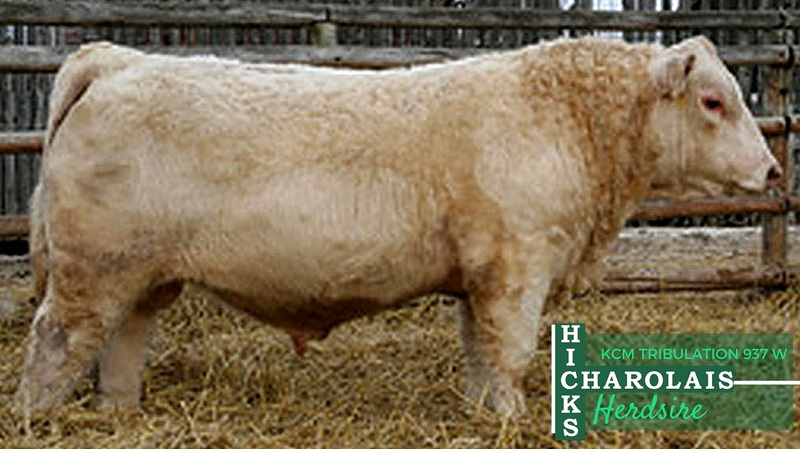 Remington is another one of our great bulls that adds size to our herd. 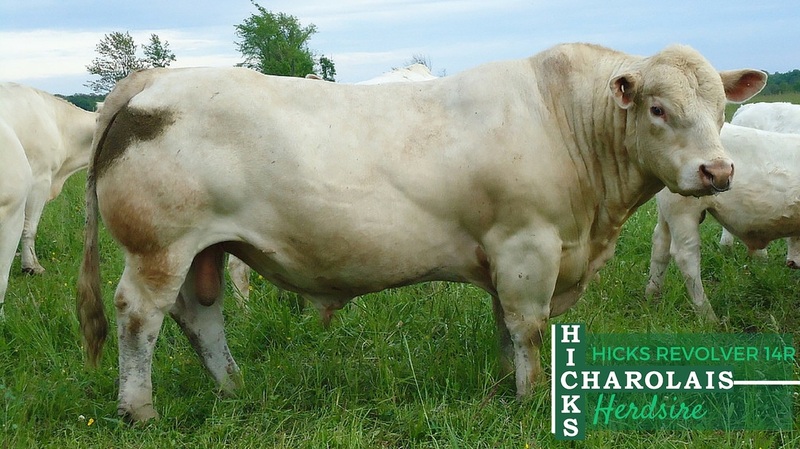 Tribulation is a herdsire because he adds muscle and mass. Sir Winston is chosen for his larger framed, long bodied form with natural muscling and perfect conformation. Revolution is the heaviest muscled Revolver son to date. 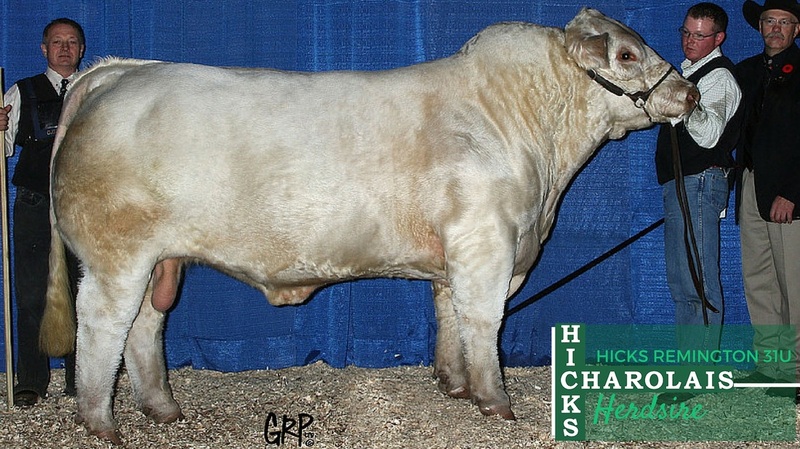 He has a great top, good foot and is from one of our best cow families.